Pez Volador, 1 Esquina Dr. Esquerdo, 117, 28007 Madrid, Spanje. 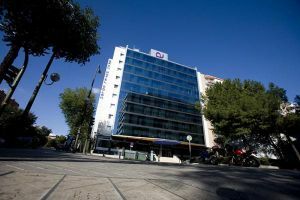 Ayre Gran Hotel Colon is located around the Paseo del Arte, where many of Madrid's most important museums, such as the Prado and the Thyssen are found, and it is very near the Retiro Park. This hotel is well-connected by tube to the historic centre. It also has easy access by M-30 highway. This hotel offers 361 well-equipped rooms, all exterior and executive with television, phone, air-conditioning and bathroom. 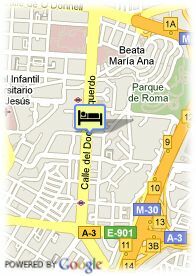 Hotel facilities inlcude restaurant, coffeebar, Solarium, Fitness center and parking. Voor oudere kinderen en volwassenen wordt 38.00 € per extra bed aangerekend.